Last week we kicked off 6 Pact with the first Pact “Attend” (see previous blog post). 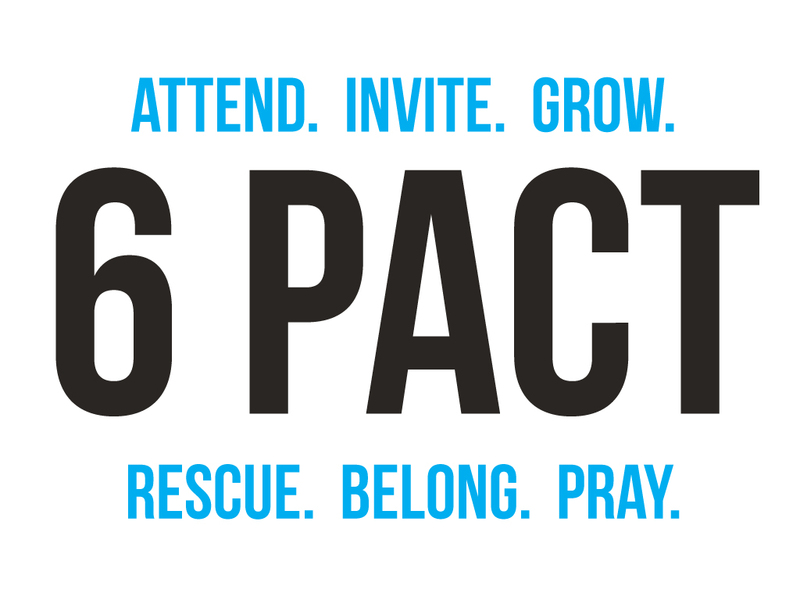 This week’s Pact is “Invite.” Who are 3 people you can begin to pray for and invite to our 2 Year Birthday Bash on Sun. Sept. 12th. Never underestimate the power of prayer. I am a Christ follower today because Laura and my mom never stopped praying for me. I became a Christ follower at the age of 18. Last week I got a chance to go back to the place where my life changed forever. What’s your story? When did you become a Christ follower? Where did it take place? I’d love to hear your story and share it with others right here. I was saved when I was 17. My life was on the wrong track. I smoked pot every day, had no self respect, let boys use me, and skipped school alot. One day I was sitting in my room, not in school, smoking pot, when God literally spoke to me. “This is not what I have planned for you.” God continued with a list of instructions that I was to follow and so I did. I listened at that moment to God and because I did exactly what he told me, I was saved from that life of hell. Today I thank God for pulling me out of the darkest part of my life and giving me this new glorious, victorious life. I am so excited about the path of Connection Church because I know our God saves the most wreched of us. I’m living proof. Powerfully delivered my brother! Sincere truth KEEP PREACHING JESUS! I got saved watching this video. I really got saved in the spring of 1981 at 106 15th St. Watertown, S.D. The message was kind of awkward. “The days of compromise are over and we gotta get back in the Word.” A radio DJ, remember God uses jack*****, was the guest speaker at Ron Urban’s house. People said in the weeks following, “Todd, you really seem different, you’ve changed.” Pretty awesome. It’s in the works right now for a movie through Orion Pictures. See you at the movies!